Easy-care garden plants, Salvias or sages as they are called interchangeably, are a large genus that includes annuals, biennials, perennials and small shrubs. Colorful Salvias can serve as the mainstay of the spring to summer, or late summer to fall garden border. Salvia is one of the many beloved members of the Mint Family, and has attributes like aromatic leaves that are paired two-by-two down square stems, two-lipped, bright flowers filled with nectar, and a long bloom season. Salvias, including the familiar kitchen sage, produce spikes of small, densely packed flowers atop aromatic foliage and are heat- and drought-tolerant beauties. They bloom in shades of blue, violet, red, pink, and white. Different varieties fill in the garden from 18 inches to 5 feet tall. Join the American Horticultural Society this week to chat about your favorite late summer and fall blooming Salvias on #Plantchat! Join @CoronaTools and #plantchat co-partner, Digital Communications Manager Charlotte Germane of the American Horticultural Society (AHS) @AHS_Gardening for this week's topic, Salvias add color and movement to your late summer/fall garden. 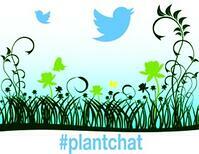 The live chat begins Monday, August 18, 2014 at 11 a.m. PST / 2 p.m. EST, were we come together with green industry experts and fellow horticultural tweeps each week to discuss all things related to plants and horticulture, since 2014. Late Summer Color -Salvia can be tender or hardy, but no matter where your garden is, use salvias for a burst of late summer color that persists in to the fall. Wide Variety - With almost 1,000 species in this genus, you can find colors and heights that add to your garden picture – and it’s likely the deer won’t photobomb your picture. Salvias are often deer-resistant, although of course it depends on the species, the herd of deer (and how hungry they are). Ask your neighboring gardeners which salvias their deer ignore. 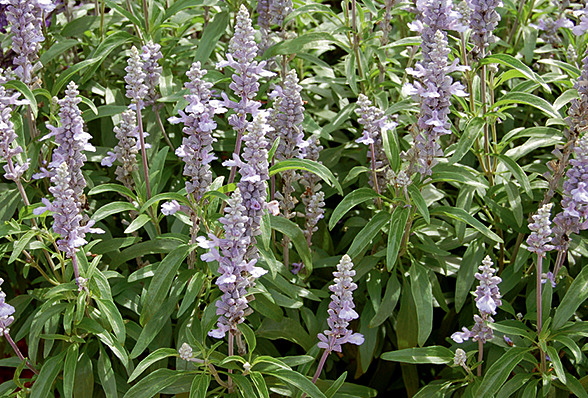 Culture for Sages - Salvias need full sun and well-drained soil. If you’re growing them as perennials, cut them back in winter to keep them from getting too woody. Native Wildflowers - Some salvias are native to the Midwest, Southeast, and Texas. Bee Forage - Salvias will feed the bees, butterflies, and hummingbirds and add an aerial ballet to your garden.